The worlds BEST dog toys! We have a great selection of dog toys that will give you and your dogs hours of fun! We have chosen toys that are fit for purpose. This means a tug toy that we sell will be fit for that purpose, it is not fit for a chew toy. All of the toys we have for purchase have been used day in and day out with our dogs in play and training scenarios (for months) to make sure all are up to the K9 Pro standard. 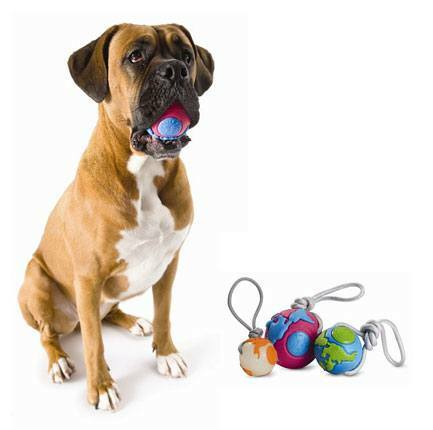 No dog toy is indestructible; leaving any toy with your dog will see some dogs destroy anything. We recommend always supervising the type of play your dog initiates with the toy you have purchased until you are satisfied that this toy can be left alone with your dog. We can have toys made of harder material so that no dog could chew them, but the damage would then be on your dogs’ teeth. Think of dog toys as sacrificial, they will last various amounts of time but will not stand up to a dog that is determined to chew them up.